But that doesn’t mean there aren’t pitfalls. Here are a few trends that DIY landlords and others new to the industry should look out for in 2019. Short-term rental platforms such as Airbnb and HomeAway have created a great opportunity for both homeowners and renters. Now, with an app, you can turn your property into a weekend retreat. But, it’s important to note that your tenants can do the same with their couch or spare room. In the second half of 2018, we saw a spike in listings for short-term rental units which were also under long-term leases. Short-term rental sites are now even posting a new tag on some listings: “Landlord Approved.” It’s subletting, circa 2019. For landlords, it’s important to create protocols for tenants who might be interested in offering short-term rentals on your property. Consider charging for the right — some landlords are charging tenants a flat fee of $50 a month for the right to offer the property to short-term renters, while others charge a percentage of short-term income — and also factor in any potential liability costs. In addition, limitations on noise after certain hours, repair responsibilities for short-term tenants and even requirements for renters insurance are worth including in a lease addendum with “short-term rental rules” that should be signed by both parties. Remember, it’s still your property, even if your tenant wants to rent it out. You should set the terms. The barrier to investing in real estate has long been financial. It takes a sizable down payment to purchase a rental property. Not anymore. Technology now allows smaller investors to get into the space via crowdsourcing platforms. Functionally similar to Kickstarter, these investing platforms allow groups to go in on deals together, buy property as a partnership and collectively share in the proceeds. Some groups even include property management as a service that is shared among the investors. Roofstock, for instance, allows investors to buy a portion of a rental property for as little as $5,000. It’s a great way for new investors to get into real estate, but watch out for excess fees and any costs that might eat into your returns down the line. Zillow, Keller Williams, Opendoor and Bunglo, to name a few, have begun to use what are known as iBuyer programs. These are data-driven valuation estimates that the companies are generating for single-family homes. In short, they’re using this data to evaluate potential deals, making purchase offers to owners sight unseen on little more than a recommendation from the database. These programs can be great for property owners who are looking to sell fast or have a property that might need some repairs. But, for landlords, having an iBuyer-based sale near your rental raises different questions. Since iBuyers are incentivized on the transaction, they typically look to sell quickly. 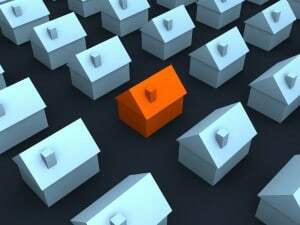 If they can’t find anyone, then they will rent it out as an investment property, often at lower than average rents. This can create problems in the local market in the short-term that landlords need to be aware of. With the rise in cryptocurrencies, we’re seeing more people using these digital tokens in the real estate space, and this has helped create a new market for foreign investors interested in buying properties in the U.S., particularly from China. Oddly enough, it’s domestically where we’re seeing the most fraud around this practice. Crypto-backed purchase offers that arrive from overseas are often legitimate, whereas those from buyers in the U.S. are more likely to be fraudulent. Either way, any email or online offer should be fully vetted before moving forward. Venmo, too, has become a very popular way to collect rent but recently has experienced a spike in payment fraud. As more online payment platforms pop up, it is important to look for services that focus specifically on rent, given the larger amounts being sent between tenants and landlord. All in all, 2019 looks to be a good year for real estate, especially for DIY landlords. Take note of the above trends, be careful as you grow your business.